When investigating wills and probate records, you will find that probate court records are very detailed and can help you learn a great deal. Every time that a probate court dealt the issues of an estate of a deceased person, the probate court clerk scheduled a hearing in the probate court docket. This is simply a calendar or list of cases for trial or people having cases pending. Probate court minutes summarize diverse issues of an estate under consideration, with a summary description and the actions taken by the court. Documentary materials introduced into evidence are listed. While these may be in the probate packet for the estate in the courthouse, there may only be an abstract description of what issue was pending. You will want to look at the minutes of the probate court and probate dockets for the time period in which the estate was being probated. The probate court minutes will contain the judge's rulings on proceedings and specific documents and may contain references to matters referred to other courts, such as guardianship of minor children, which may be pointers to other documents. The docket, or schedule, can be an excellent reference to the probate minutes as well. A review of the probate packet is therefore incomplete unless you also examine these records. Remember that the probate packet may not include documentary details of every issue discussed in the court. As a result, those minutes can provide otherwise obscure information. Remember too that a formal probate packet does not exist for your ancestor, especially one who had no land or little personal property. There may have been little need for a formal will, and he or she may have died intestate (without a will). Potential heirs may have wished to have a formal probate judgement on the disposition of the small estate. Additionally, the probate packet of some significant estate may have been lost, misplaced, or removed from the courthouse files. 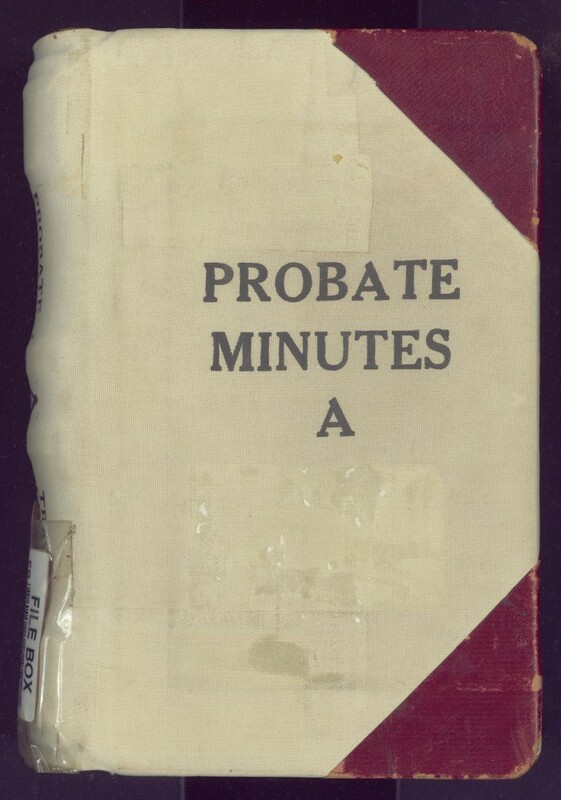 The probate docket and minutes can provide details about original documents that have been lost to history. Even if you do find a probate packet containing a will, codicils, estate inventories, accounting records, and other papers, you probably will not get the full picture of the estate and some of the nuances for how it was processed. The probate dockets and minute books can provide context of the probate process and can point to other legal records.